Dusty’s owner bridled him and helped hold his head up while the rescue began, Holmes said. LNVA officials sent a crew and backhoe to grade down the bank so Dusty could be pulled up to safety. 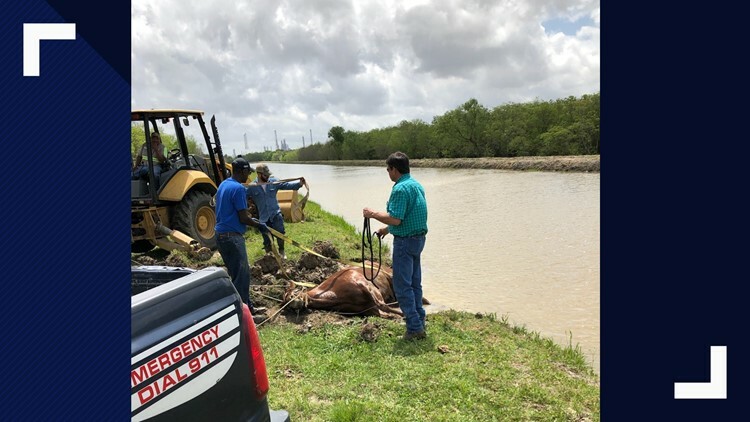 PORT ARTHUR, Texas — A horse who got stuck in a canal Thursday morning is now safe. 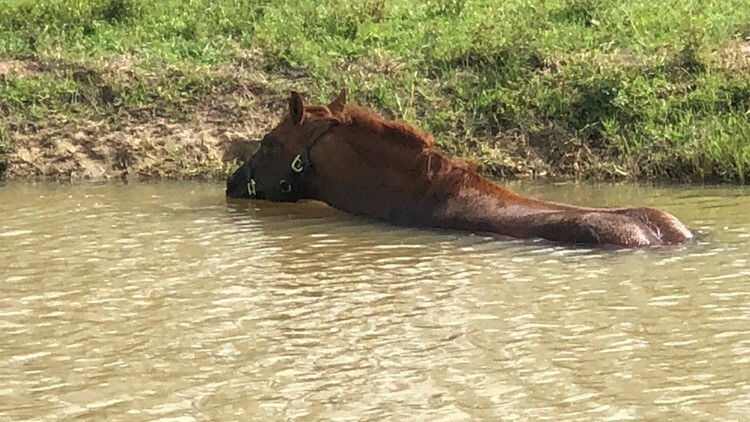 His owner told Jefferson County Livestock Deputy Stretch Metts his 4-year-old quarter horse, Dusty, had been stuck in a canal east of Ayershire Road in Port Arthur for several hours and was exhausted, Jefferson County Sheriff's Office Capt. Crystal Holmes said in a release. 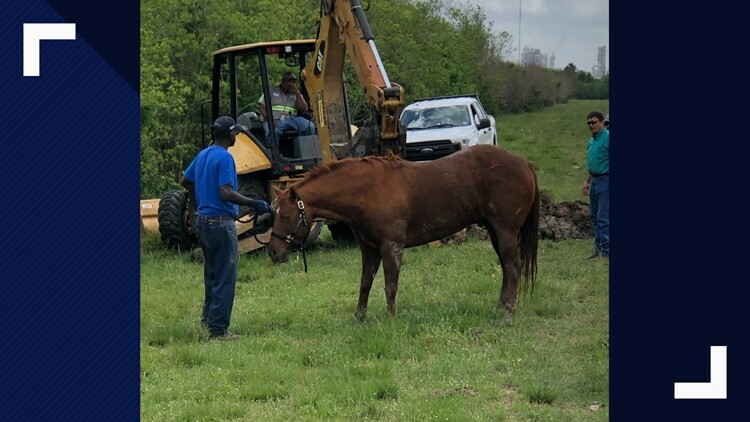 The rescuers attached straps to the horse to get him back up to the bank, Holmes said, but they were concerned about Dusty's labored breathing. He wasn't able to stand on his own. 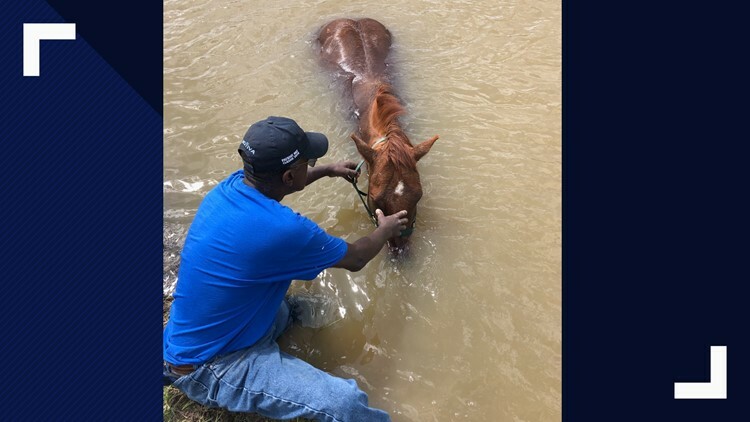 "While Deputy Metts was on the phone with a veterinarian, Dusty surprised everyone and stood up on his own," Holmes said. A veterinarian gave Dusty antibiotics and IV fluids, and he is expected to recover well. Holmes said the Jefferson County Sheriff's Office is grateful to the LNVA crew, especially Allen Peltier, Richard Guillory, Josh Drake and Duane Browning for their help in saving Dusty.